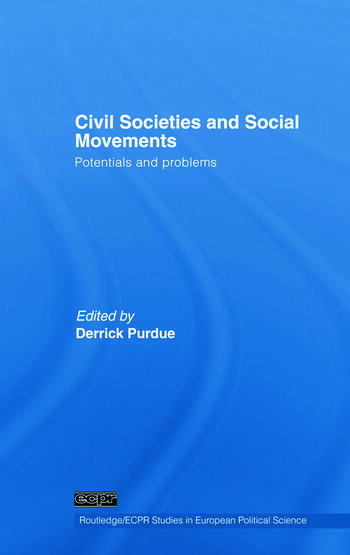 This volume examines and contributes to debates surrounding social capital, social movements and the role of civil society in emerging forms of governance. • the patterns of public trust and civic engagement that falls under the rubric of social capital. The book draws on case studies from a wide range of countries, including: Russia, Ukraine, Britain, Greece, Spain, Germany, Argentina and new Asian democracies. Presenting current research on the key dimensions of civil society, Civil Societies and Social Movements will appeal to those researching and studying in the fields of political science, sociology and social policy.